Preparing for college is a process that spans the student’s entire high school career and parents can play an important role in keeping the focus on the ultimate goal, even while students can get distracted with all the excitement of high school. It’s important to have a comprehensive college preparation plan in place starting in the student’s Freshman year, ranging from an academic “college prep” curriculum plan, to a skills-and-resume-building plan to broaden the student’s experiences in the real world. These include activities like volunteering, joining clubs, completing internships, and participating in other service opportunities. Your guidance in helping your child select and commit to these activities is crucial to making the experiences a success. Finally, as they get closer to graduation, your child will need your guidance to navigate all that colleges require of applicants. In addition to the college selection and application process, college entrance exams are a major component of the process. It’s important for parents to understand these entrance exams, and help the student put together a plan to prepare for them and optimize their scores, so they have a better chance to get into the college of their dreams. What is on the ACT and SAT exams? English: 75 questions in 45 minutes. This test requires students to choose the best corrections for grammatical errors in a sample passage. Mathematics: 60 questions in 60 minutes. This test includes 24 problems in Pre-Algebra/Elementary Algebra, 18 questions in Intermediate Algebra/Coordinate Geometry and 18 questions in Plane Geometry/Trigonometry. Reading: 40 questions in 35 minutes. This test requires students to read passages and answer both factual and interpretive questions about them. Half of the questions are based on readings in Social Studies and Science; the other half are based on readings in Arts and Literature. Science: 40 questions in 35 minutes. This test presents students with data (charts, graphs or summaries of experiments) and asks questions that require students to analyze and interpret data using skills typically taught in science classes. Writing: One essay in 30 minutes. This optional test requires students to write an essay arguing their opinion about an issue presented in the writing prompt. Reading: 52 questions in 65 minutes. This test requires students to read passages based mainly on Social Studies and Science. Questions include defining vocabulary based on context clues, analyzing how the author creates an argument, and selecting supporting evidence. Writing and Language: 44 questions in 35 minutes. This test requires students to read passages based mainly on Social Studies and Science topics, but the passages contain errors. Students are asked questions about correcting grammatical and vocabulary errors as well as questions about topic development and organization of ideas and evidence. Math: 58 questions in 80 minutes. Students are asked to solve word problems based on scientific and career scenarios, sometimes involving the use of graphs or other visual representations of data. About half the questions allow use of a calculator while half do not. Essay: One essay in 50 minutes. This optional test provides students with a reading passage that presents an argument on a topic. Students must write an essay that analyzes the author’s reasoning and rhetorical strategies. The essay is scored on its content as well as its organization and adherence to good grammar and standard writing conventions. Ideally, students are well served to take both exams. Because most colleges accept either, taking both the ACT and the SAT doubles your child’s chances of scoring well. Usually, because of the different pacing, format, and focus of the two exams, a student does better on one than the other. So that study time is used most effectively, most students select and prepare for the exam that suits them the best. Your child will likely have a clear preference for one style of test. The best way to decide which exam is best for your child is to have them take full practice exams for both the ACT and SAT. 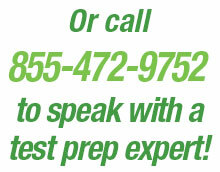 Most comprehensive test preparation programs will include practice exams to determine the best test for your student. When Should My Child Take their College Admissions Test? Both the ACT and the SAT are designed to be taken by high school students who have had three years of English courses and have completed Algebra I, II, and Geometry coursework. The ACT also features basic trigonometry, though the SAT does not. Taking the test in the Spring of their Junior year allows students ample time to learn the material they’ll need to know to answer the questions. For the ACT, choose the April or June test date so that you can use their Test Information Release service, which provides a copy of all test questions and student answers along with the score. The SAT Question-and-Answer service is similar and is offered on the May test date. This valuable information shows your child which areas need improvement and can guide further independent study or work with a tutor. The Spring test date allows your child to brush up on skills during the Summer and retake the test in the Fall of Senior year, which usually leads to improved scores in time for inclusion in college applications. While testing is a regular part of school life these days, many students and parents experience stress and anxiety over the SAT or ACT because these tests play such a big role in deciding the student’s next big step in life, where they will go to college. But both parents and students should realize that they’ve been preparing for these tests throughout their school years. With a good high school college prep curriculum, good study skills, a regular habit of reading, and a good test prep program, most students will do well on these tests. But, if your student is experiencing nervousness about the test, it will help to address that early so it doesn’t distract from being well-prepared. Here’s a set of tips for reducing test anxiety leading up to the exam. Z Prep! offers test preparation services for the ACT and SAT. Our proven programs focus on bringing out the best in your student, with one-on-one tutoring by an experienced, qualified tutor. 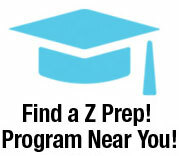 For help with your SAT and ACT test preparation, speak with a Z Prep! test prep counselor today.